Below is a listing of 12 countries outside the U.S. that hold promise for securing a biopharma job. We based our selections on the size of their clusters of research universities, businesses, and nonprofit research institutes, as well as on recent announcements by companies about new facilities, and the locations of job openings posted on the websites of eight pharma and biotech corporate giants—Amgen, AstraZeneca, Johnson & Johnson, Eli Lilly, GlaxoSmithKline, Novartis, Pfizer, Roche. GEN visited those websites from November 23-25. The countries below are listed alphabetically; they are not ranked. This year’s List features 12 hotspots, up from seven last year, reflecting the increasing globalization of biopharma as greater amounts of government funds, educational and research resources, and investor capital are committed by nations. To some degree the results also reflect success by other nations in exploiting one U.S. weakness, its relatively high corporate tax rate compared with most European and Asian countries. That disadvantage made news most recently on November 23, when Pfizer announced it will acquire Allergan for $160 billion, a deal that will allow the combined company to re-domicile outside the U.S. in lower-tax Ireland. The results show European countries continue to account for the most locations outside the U.S. that are generating the most new jobs (six), though Asian countries continue to attract expansions by both home-grown and multinational biopharmas, with no fewer than four Asian nations on this List. Two other countries fit neither within Europe or Asia—one because it straddles both continents; the other because it lies within the Western hemisphere. Long known for home-grown pharma anchors like UCB and the Flanders Institute for Biotechnology (VIB), Belgium’s biopharma industry has been enhanced in recent years by younger biotechs, two of which went public this year. In May, Mechelen-based Galapagos completed Europe’s largest-ever IPO and one of the largest of any biotech worldwide, raising €259.3 million (about $275 million) in net proceeds primarily toward advancing clinical programs. The IPO has yet to yield an avalanche of new jobs: Since filing its registration statement, the company’s workforce has grown to 427 employees as of September 30, 10 more than a year earlier. Another Belgian biotech successfully completing an IPO was Celyad (formerly Cardio3 BioSciences), which generated some $90 million in net proceeds from its first public offering of its American Depositary Shares in the U.S. While most of the money will advance clinical programs, $5 million can be expected to fund additional jobs that “support our growth globally by expanding general, administrative and operational functions in our headquarters in Belgium and the United States,” according to a company official. In April, Bone Therapeutics opened a new headquarters at the Gosselies Biopark, part of the public-private “Walloon Cell Therapy Platform” initiative designed to transform the Wallonia region into a cell therapy hub by creating roughly 100 direct jobs and another 200 indirect jobs. The nation’s biopharma industry group BIOTECanada committed the nation in May to becoming one of the world’s top three bioeconomies by the year 2025. Canada took many steps in that direction during the past year. Among them: Medicago plans to more-than-double its workforce by 2019 by adding 200 people to the 180 now based in Quebec City’s Estimauville innovation park, where on May 19 the company announced a $245 million production plant that will make vaccines and therapeutics using plant technology, Later that month, Gilead opened a $100 million laboratory in northeast Edmonton that added 83 employees to the more than 300 the company already employed in the capital of Alberta province. The company has also begun construction of a second building on its Edmonton site, a manufacturing building and processing tower where 86 researchers will be based when completed in 2017. In June, South Korea-based Green Cross Biotherapeutics broke ground on the nation’s first intravenous immunoglobulin (IVIG) and albumin manufacturing plant, a C$315 million facility that will employ 200 scientists, engineers, microbiologists, chemical engineers and other professionals. Green Cross’ plant, which will rise on the Montreal Technoparc's Saint-Laurent Campus, represents one of the first made through the Canada-Korea Free Trade Agreement. The world’s most populous nation committed itself to upgrading the quality and scale of Chinese manufacturing in biopharma/advanced medical products and nine other priority sectors through Premier Xi Jinping’s “Made in China 2025” initiative. Officials hope to address quality concerns that they fear may threaten biopharma growth, although numerous companies disclosed expansion plans this year across China. In the Banan District of Chongqing province, cancer drug developer Athenex, of Buffalo, NY, will employ 500 people at two drug manufacturing and distribution plants being built. In Shanghai, SGS Life Science Services doubled its workforce to 135, completing a cGMP lab in June while starting construction on a microbiology lab the following month. In September, Jiangsu Hengrui Medicine announced a $240 million biopharma plant in Jiangsu, two months after disclosing plans for a $137 million biologic drug manufacturing facility in Suzhou. Cellular Biomedicine Group completed its third GMP facility in Changping District, Beijing. 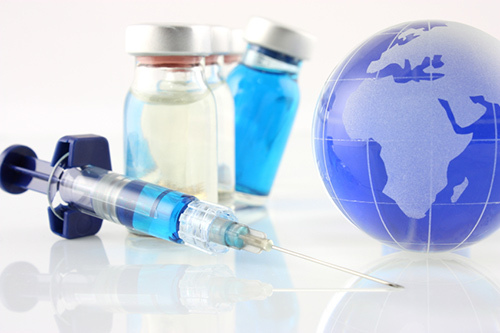 Other companies developing new facilities include BeiGene, which is building its first commercial cGMP plant at bioBAY industrial park in Suzhou; Genovate Biotechnology, which began phase I of construction for a RMB 350 million ($55 million) insulin plant in Changzhou National Hi-tech District; Green Cross, which is building a cell therapy facility in Guizhou province; and Tianjin CanSino Biotechnology, which broke ground on a $317 million manufacturing site for vaccines against Ebola and other diseases, set to open in 2018. Horrifying terrorist attacks have thrust the nation into a war footing, overshadowing all other domestic matters, including the longstanding effort to build up biopharma. One source of pride for the industry took place in January, when Marseilles-based drug developer Trophos was acquired by Roche for up to €470 million ($499 million). Paris-headquartered Sanofi has perhaps the largest facility project in progress, namely €120 million ($127 million) in vaccine production and processing upgrades for unit Sanofi Pasteur underway in Marcy-l’Étoile. The company’s animal drug business Merial is also in construction mode in Lyon-Saint Priest, where it is investing more than €40 million ($42 million) to build a new line of biomanufacturing systems that will enable the company to double its production capacity at the site. The new line is expected to be fully operational by mid-2017, allowing for production of additional types of antigens for vaccines. GlaxoSmithKline issued a statement saying it would create 300 production jobs in France during 2015-2016, even as the company began marketing for sale its manufacturing site in Les Ulis. Two French biopharmas disclosed plans to expand in the U.S., as Cellectis opened an American headquarters in New York in April, and bioMerieux added 100 staffers to its 750-person Durham, N.C., site. At the annual German Biotechnology Days 2015 conference in April, the industry had reason to celebrate: The number of employees reached a record high of 17,930, on top of the more than 110,000 employed by heritage pharmaceutical companies. So far this year several companies have announced new projects that will increase those numbers further, immediately or eventually: Industrial biotech Clariant opened a 100-person lab-office facility in Planegg near Munich, while home-grown pharma giant Boehringer Ingelheim said in June it created 50 new jobs by more than doubling its annual filling and packaging capacity for its Respimat® inhaler to 50+ million units, in a €72 million ($76 million) expansion of its headquarters Ingelheim site. Another home-grown pharma, Merck KGaA will consolidate 200 existing employees at a new €65 million ($69 million) R&D building to open in 2017 within its Darmstadt headquarters—though executives said the building will eventually drive future company growth. Life science leaders acted to nurture German startups outside the federal republic, announcing in October plans to launch a German Accelerator for Life Sciences (GALS) in Cambridge, MA; GALS is an initiative of the German Federal Ministry for Economic Affairs and Energy. Since taking office last year, Prime Minister Narendra Modi has spoken often about growing India’s biotech industry. On November 14, Modi’s government committed the nation to at least triple the number of biotech startups, now at 500: “We plan to scale it up to 1,500 to 2,000 in the next two to three years,” Renu Swarup, Ph.D., senior advisor to India’s department of biotechnology and managing director of the Biotechnology Industry Research Assistance Council, told Indo-Asian News Service. Most biopharma expansion, however, has come from corporate giants: Abbott Laboratories will add manufacturing, R&D, and new corporate offices in Mumbai’s Bandra Kurla Complex, while Dilip Shanghvi, founder and managing director of home-grown Sun Pharma, told investors last month he saw “huge opportunities” to expand manufacturing in Punjab; Sun completed its $4 billion acquisition of Ranbaxy in March. Another home-grown biobusiness, Arobindo Pharma, is spending Rs. 300 crore ($45 million) to expand its API plant in Telangana on top of Rs. 900 crore ($136 million) for building an oral solid finished dosages facility at Naidupeta, an oral finished dosage facility in Visakhapatnam, and a semisynthetic penicillin plant at Jadcherla, near Hyderabad. Biotech is one of 25 focus areas of Modi's “Make in India” economic development program, which marked its first anniversary in September. Even the phase-out of the “Double Irish” tax loophole by 2020, which began this year, did not end the parade of biopharmas expanding within the republic. Ireland’s government in January contributed €15 million (about $16 million) to an €85 million ($90 million) venture capital fund aimed at increasing life sciences employment. Most recently in October, the IDA Ireland economic development agency announced Pfizer’s plans to grow its Irish workforce of about 3,200 with 130 jobs across three manufacturing sites—Grange Castle in Dublin, and Little Island and Ringaskiddy in Cork. Also that month, Grifols officially opened its 140-person Bioscience Division global operations center in Dublin. And in July, PAREXEL International said it would hire another 130 for a global decision-making hub in the Dublin suburb of Kilmainham. In another Dublin suburb, Blanchardstown, Alexion Pharmaceuticals announced a €450 million ($478 million) expansion in May that will add 200 jobs over four years. In Dun Laoghaire, County Dublin, Amgen opened a new 340-employee, $300 million syringe filling facility. On the opposite coast, Regeneron Pharmaceuticals is adding 200 jobs to a production facility in Limerick. There and in Dublin, ICON will create a total 200 jobs for a new global innovation hub. Also expanding are Amneal (250 to 300 jobs in Tipperary), Johnson & Johnson (200 in Limerick), AbbVie and GSK (50 each in Sligo), and Mallinckrodt (45 manufacturing jobs in Dublin). In the fifth year since President Vladimir Putin launched the “Comprehensive Program of Biotechnology Development in Russia to 2020”—through which Russia aims to grow into a biotech heavyweight by 2020—the nation reaped some rewards from its cluster-building efforts. Novo Nordisk in April opened an insulin formulation and filling manufacturing facility that employs 150 in the Kaluga region’s Technopark Grabtsevo. Kaluga is also where AstraZeneca in October opened a new $224 million manufacturing and packaging facility that will employ 170 by next year and be fully operational in 2017, with an annual capacity of about 40 million of packages and 850 million of tablets. MasterPlasma in May disclosed plans for a 600,000-liter plasma manufacturing plant—said to be Europe’s largest biopharma facility—within the Generium Science and Technology Park, in Russia’s Vladimir region. The plant is expected to begin operation in the second half of 2017. With a biomedical industry that has grown to 16,800 employees, generating $21.5 billion in goods and services last year, Singapore likes to sum up its approach to growing biopharma in three words: “Dream, design, and deliver.” A series of openings this year went a long way toward fulfilling the “deliver” part of that phrase—most recently on November 18, when Thermo Fisher Scientific officially opened an expanded GMP facility that is 60% larger than the previous site and double the cold chain capacity. The company did not disclose a number of jobs. However, GlaxoSmithKline said in March it will add 100 staffers to its existing 700 in the country when it completes the Asian headquarters for which it broke ground in March. Also growing is Agilent Technologies. In October, it formally opened a new training site, Agilent University, which had already trained about 600 engineers and 500 customers since its unofficial launch in April. Training more professionals in anticipation of future industry demand is the goal of Singapore‘s-year-old Biologics Overseas Skills Training (BOOST) program, which will train 150 specialists over three years, as well as that of the Development and Apprenticeship (DNA) program, which will train another 300. The Land of the Morning Calm is anything but placid about identifying challenges to biopharma growth—and identifying some potential solutions. In November, Seo Jeong-sun, president of the Korea Biotechnology Industry Organization and the founder and chairman of Seoul-based genome sequencing firm Macrogen, announced a plan to incubate no fewer than 1,000 KBIO biotech startups over several years, by partnering them with successful home-grown biotechs such as his own and Celltrion, as well as drawing support from the government. In March, several government agencies revealed plans to spend a combined $300 million on biotech this year, up from $199 million last year. “Korea is in an excellent position to take the lead in the field of biotechnology, geared for immense growth in the future,” Seo told The Korea Herald. To do so, Korea will need more growing companies of all sizes. Contract manufacturer Samsung BioLogics in February said it will carry out a $700 million expansion of its biologics manufacturing site in Songdo, Incheon; the number of jobs has not been disclosed, though the company employs about 1,000 people. The site will consist of three plants—one set to start operation next year, the second in two to three years, and a third that started construction this month. A year after the “Golden Triangle” was re-branded “MedCity,” southeast England—co-anchored by London, Oxford, and Cambridge—continues to expand in biopharma. As of last month, MedCity was home to 1,896 life sciences companies generating £16.6 billion ($25 billion) annually and employing 62,855 people, according to London Mayor Boris Johnson, who has spearheaded the cluster. The region can boast of the biotech with the most private financing ever raised in Europe and second-most worldwide, Oxford-based Immunocore with $320 million. Thirst for biotech growth extends across the U.K. In April, the UK BioIndustry Association (BIA) unveiled its vision to create a kingdom-wide top-tier cluster over the next decade—in part by creating 30,000 to 60,000 new jobs. Two months later, Mayor Johnson proposed a “megafund” of £10 billion ($15 billion) intended to support drug development in his city and across the U.K. Among companies in expansion mode, Gilead said in February it will double its UK workforce to 600 this year with the creation of a new U.K. commercial headquarters in the Holborn section of London, and expansions of its U.K. R&D headquarters in Cambridge and its U.K. headquarters in Uxbridge. Adaptimmune broke ground in October on a new lab/office building at Milton Park, Oxfordshire where 200 R&D staffers will be based. And in Scotland, BioOutsource—recently acquired by Sartorius Stedim Biotech—doubled its capacity for biologics contract testing and biosimilar characterization in July by opening a Glasgow facility with 50 jobs.